“Chinese government realizes that if left unchecked, the individual freedom to pursue private objectives can spill beyond the business realm to include critiques of state power”. Before I share my views on this statement, it may be important to do some background check. Though Chinese leadership may not agree, there is no doubt that China is a neoliberal state. According to the theory, the neoliberal state should favor strong individual private property rights, the rule of law, and the institutions of freely functioning markets and free trade (Harvey, 2005). In this theory, businesses and corporations are also regarded as an individual. And individual freedom dictates the protection of freedom of action, expression, and choice. Besides economic, individual freedom was also tied to politics. Halper (2010) noted, “the idea of a market society wasn’t just an economic theory; it laid the basis for a comprehensive political-economic philosophy. The power of the marker lay in the economic freedom, but economic freedom could only exist in the context of political freedom, where individual was free to choose how to live, what to buy, and what to produce”. Washington also shared this view when it shook hands with Deng in 1980. Within Washington, there was a popular view that international engagement with China would encourage political liberalization inside the country (China). Though this popular Washington view may have remained a “view” so far, Chinese government however seems to fear the Washington view as it restricts the individual freedoms. Relying on this background check of individual freedom and China, I own two views. First, it is clear that there is a lack of individual freedom in China. One good example may be to look at the conviction rate of Chinese courts i.e., 99 percent (Gifford, 2007). Another may be its firewall, regulations, and armies. 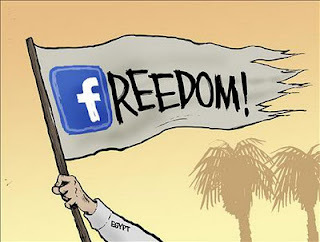 However, the check on individual freedom is increasingly getting ineffective, as people find ways to crack the firewall with codes, to contest the laws and regulations with independent journalists and barefoot lawyers, and to challenge its armies with peaceful protests. Also, it may not be possible to write, say, or read “Tibet will be free” in proper China, however, it is possible to have them engraved the same on iPod Touch or other products manufactured in China. It seems individual freedom of corporations are defining the Chinese government’s interpretation of individual freedom. Second, the Chinese populace will not be content with the individual freedoms they are allowed by the Chinese government. Gifford (2007) shared a beautiful opinion on the power of “choice” in his book on China. He shared, “To my mind, one of the key things is choice. Whatever our own prejudices, we simply cannot deny that there is more choice in China than there used to be. And I am of the opinion that where there is a choice, there is often change for better, and that includes the possibility of political change…. Its not happening tomorrow, but I think that once you allow people to choose their pizza toppings, sooner or later they are going to want to choose their political leaders”.